Are you on LinkedIn? Does your public profile portray you well? If you established a profile long ago and haven’t really changed anything since then, it’s time to revisit and reflect on your presence there. 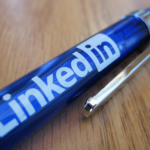 Think of your profile as the window dressing of your LinkedIn brand. If the display is bare or has a few feeble props, your audience is not going to linger long enough to see what you offer. In Part I of this post, I discussed the importance of having a professional picture and creating a title that is easily searchable. Here are three more tips to help you make your profile shine. Although it’s easier just to fill out the last couple of jobs you had and your last educational institution, don’t stop there. Everything on LinkedIn is indexed by Google so you want to have as many key words as possible included. Some people search by skill set, others by company experience, still others by college or university to find fellow alums. Remember, when people search on Google, it’s very common for LinkedIn profiles to come up. Below each experience entry, there’s a box where you can detail your experience in either bullet points or paragraphs. Bullet points are easier to scan for the reader. Keep the entries concise and highlight your strengths. Once again, put yourself in the place of someone doing a search on LinkedIn. Say a potential client uses the advance search feature and is looking for someone who is a construction engineer with experience in rebar column cages. If you only list “civil engineer” in your skills section, your profile might not come up. You want to add in your specialties and certifications to increase the chance that your profile will be in the search results. What if a recruiter was looking for a water resources engineer with experience in dam safety and sustainability? The keywords you use in the Skills & Expertise section can lead that recruiter right to you. Recommendations establish credibility. It’s a good practice to find other people on LinkedIn that you have worked with in the past and ask them to write you a recommendation. Try to build a well-rounded recommendation section. A senior professional might describe your management skills and your ability to deliver a project on time. A colleague, on the other hand, might be able to highlight how well you worked on the team and praise your leadership role. Consider the competition. Profiles with personal testimonies are going to be viewed in a stronger light than those without any endorsement. Don’t forget to return the favor, if appropriate, and offer to endorse the person who crafted a personal testimonial for you. Creating a strong profile showcases your brand online. Use these five tips to strengthen your profile and you’ll stand out from the crowd. Oh, and one last tip – consider putting your Linkedin URL on your business card. You’ll find your personal URL on your profile under the “Connect” button. Think of your LinkedIn profile as an extension of your business card. It’s a great way to help the person you exchange cards with remember more about you. Next time you have a meeting with a prospective client or you’re on your way to a seminar and want to meaningfully engage with someone you know will be there, check their LinkedIn profile before you go. You can bet that knowledgeable LinkedIn users are checking you out as well. Good luck! Welcome to Our New Look! 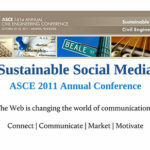 Founded in 1852, the American Society of Civil Engineers (ASCE) represents more than 150,000 members worldwide and is America's oldest national engineering society.